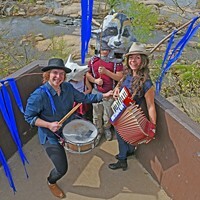 Failure to Communicate | Cover Story | Style Weekly - Richmond, VA local news, arts, and events. Facing a surge of Latino students, Richmond schools struggle to connect. But the system finally may be taking action. 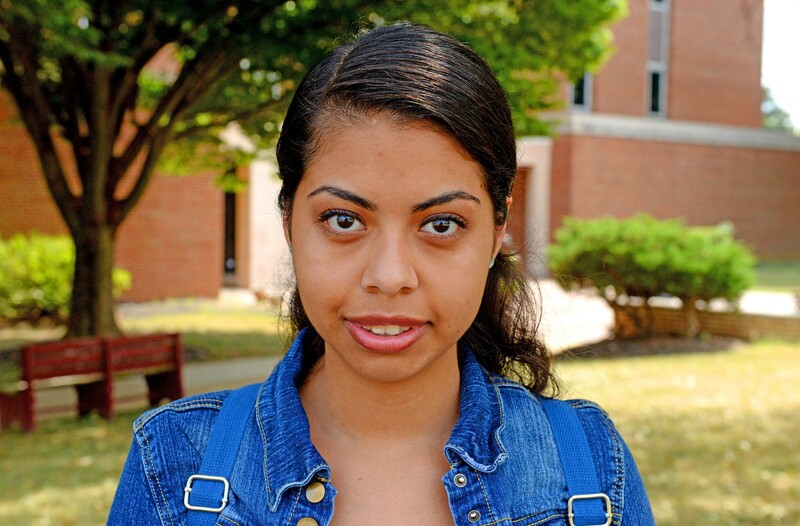 Jessica Osornio, Huguenot High School's 2013 valedictorian, says she continues to be concerned that her alma mater isn't doing enough to meet the needs of Latino students. In a trailer park off Midlothian Turnpike, the sounds that Huguenot High School junior Omar Zuniga hears — mosquitoes clipping eardrums, a circling ice-cream truck — are the same ones relished by any teenager who dreads those first few days back in school. On this late August night, his focus appears to wander between conversation and those sounds while he sits on a stool next to his parents, a friend, and an interpreter, Dustin King. Before he arrived, his mother, Yolanda, was explaining why the Richmond Public Schools are treating her average teenage son like a criminal. "Whatever little thing, they were always punishing him," she says, through King. Little infractions turned into bigger accusations from administrators that kept him out of school — and eventually led to expulsion for drug possession. "The principal said, 'Your son is in a gang.' And I cried." Omar Zuniga missed much of the last school year. He spent the time shut in his room or occasionally out working. 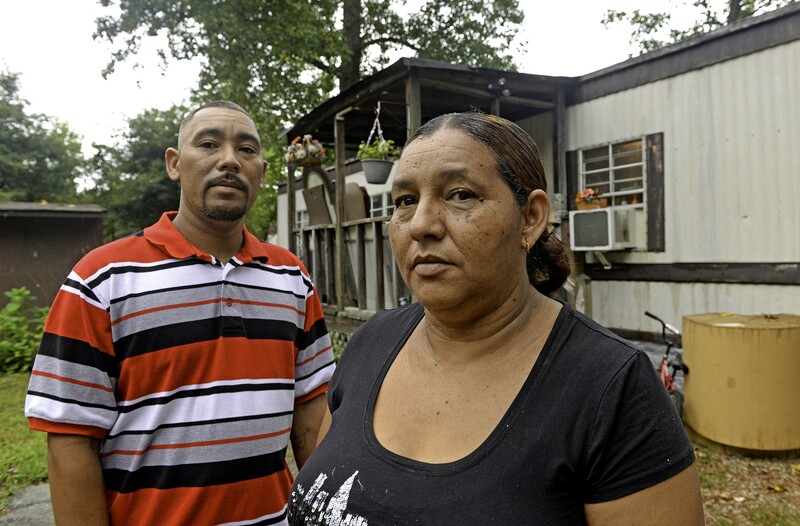 In the time he should have been in school, Yolanda thinks her son could have learned English. In the time he wasn't in school, he could have learned the skills needed to become a metal worker instead of gathering old air-conditioners to take to recycling shops. Yolanda is determined for her family to find a way out of its hand-to-mouth circumstances. She describes the nearby trailer they're fixing up — an improvement over the camping trailer where they live — as a gift from God. Her son's education is supposed to be another gift, an escape hatch from a life in which not having papers has put a ceiling on how much his parents can provide for their family. "I want him to continue studying these next two years," she says, "So he can be someone in this life." Star student Jessica Osornio, left, who graduated from Huguenot High School in 2013, contradicts Huguenot High School officials, saying they unfairly singled out her friend Omar Zuniga. Last year, she and others protested what they say was discrimination. In a city struggling to stem the tide of a declining public-school population, Yolanda is one of many Latino parents who rely on those schools to educate their children. More Latino students enroll in city schools every year. The demographic has grown from 1,529 students in 2010 to 2,369 in 2013. That's 55 percent growth in four years, with Latinos making up about 10 percent of the school district's 23,775 students. 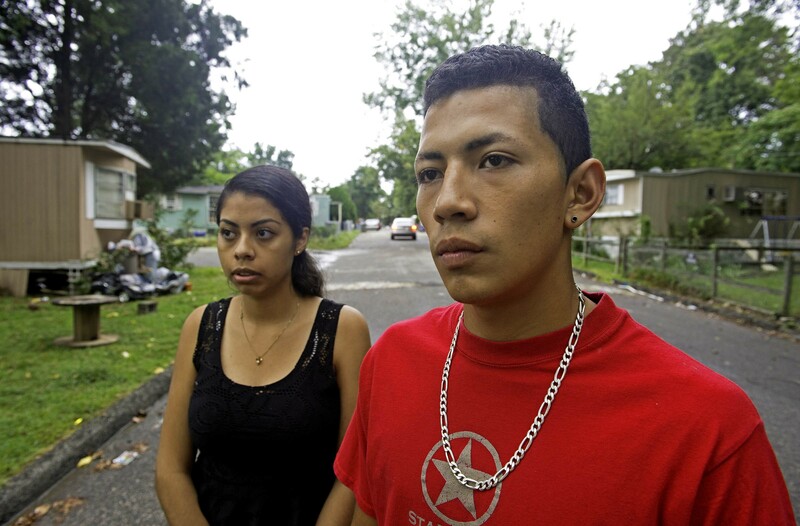 Increasingly, Latino students are failing out, dropping out or otherwise getting left behind. Fifty-eight students passed their reading and math Standards of Learning tests in 2014, and 46 percent graduated from high school on time that year. Compare that with Henrico County, where 71 percent of Latino students graduated in four years, or in Chesterfield County, where there's an 81-percent graduation rate for Latinos. For many Latino families, primarily based in the South Side, making it to neighboring Chesterfield becomes the goal. But Omar Zuniga's family can't afford to move, and he doesn't need statistics to tell him he faces long odds. When he begins speaking about his experience, he doesn't talk about achieving dreams or making his parents proud. He talks about administrators who threaten him, counselors with whom he can't talk and wanting to return to school anywhere but at Huguenot. But because it's the only high school in the area that offers instruction for English learners, he has no choice. "I'm trying to concentrate on my studies," he says, "but there's always something that stops me, that takes me in a different direction." Zuniga says he's being profiled, and while he fights to work past it, his biggest barrier is simpler: He can't communicate proficiently in English, like 1,257 other students enrolled in Richmond's public schools — primarily at E.S.H. Greene Elementary, Elkhardt Middle and Huguenot High. "The challenge is that this is a new phenomenon in Virginia," says Jesse Senechal, a Virginia Commonwealth University professor who co-founded the advocacy group Richmond Teachers for Social Justice. Area schools are just beginning to face the demographic shift, he says: "There need to be programs in place that understand where students are, respect their home language and use it to help them gain competency in English." Instead, Richmond's most vulnerable students often are greeted by a bureaucracy unprepared for the first thing needed for them to learn: communication. As a result, Richmond Public Schools have allowed failure from Latino students far exceeding any other demographic they serve`. But after protest — and new federal oversight — the district finally may be getting serious about helping its most vulnerable and most rapidly growing student population to learn. Omar Zuniga’s parents, Hermes and Yolanda, say they got no help from the school district, but found an advocate in community organizer Dustin King, below. Bienvenidos. It's the first day of school at Greene Elementary, off Broad Rock Boulevard, and the only people not speaking Spanish in the main lobby are wearing lanyards and distressed faces. Dozens of parents and children are here to sign up for class. Only a handful of the staff appear to have any idea what the people crowded in the hall are saying. School Board member Tichi Pinkney-Eppes isn't one of them. She's come to see for herself what families experience this first day, but has no interpreter to help her through. Motivational posters and a portrait of Barack Obama are the only reference points that tell her this lobby is in the United States. She watches an administrator try in vain — voice raised, arms flailing — to speak with a parent having some sort of enrollment mix-up. Pinkney-Eppes stops an aide to ask for the handout being offered to parents. After staring at it for a good 30 seconds, she concludes that it's a bus schedule. It's a fuzzy photocopy of a photocopy, and it's confusing even in English. "It's like, what is this?" she asks. The Latino population at Greene, which Richmond annexed from Chesterfield in 1970, has grown steadily in the past few years. Nearly half of the school's 432 students were listed as Latino in 2010, with 93 percent of those pupils categorized as having limited English proficiency. By 2013, the percentage of Latino students had climbed to 80 percent of the school's 483 students. Of them, 226 are labeled as having limited English proficiency. "Just look at her body language," Pinkey-Eppes says of the administrator after walking out of the building. "I know she wanted to be helpful. If we would be intentional and deliberate about getting resources, we'd have better feelings." She turns to a family, smiles, and attempts to speak to them: "How was your first day?" The father looks at her with a puzzled expression. No staff member is around to help. After an awkward pause, he turns away. Pinkey-Eppes looks lost. "I wish Dustin were here." 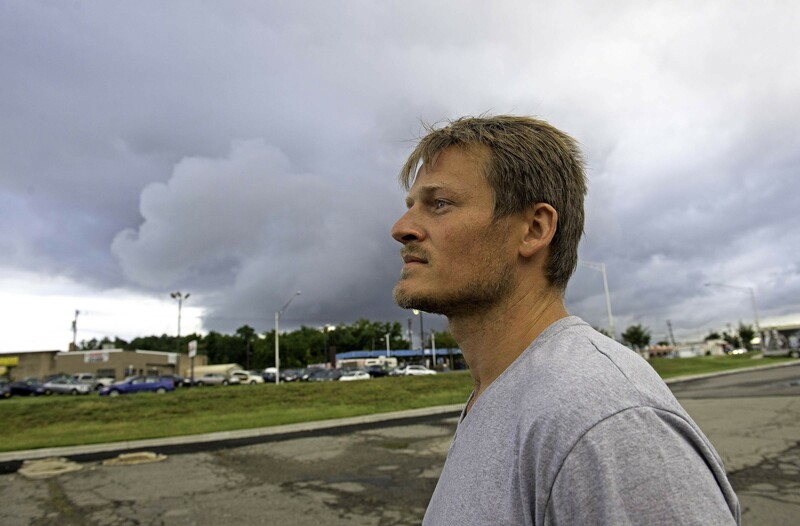 Pinkney-Eppes knows him as Dustin King — a 32-year-old community organizer who first offered his services in 2013. To Richmond's Latino community he is Mateo, a bridge between the English-speaking teachers, administrators and elected officials who rule their lives but remain inaccessible without his help. "School workers are put in a position where they have to deal with someone who doesn't speak their language over and over again," King says. "They're stressed, and they're not getting the support they need." Again and again, he says, that stress is turning into a situation in which teachers, security officers and administrators lash out at students. "That's the school-to-prison pipeline," he says. "That's what's happening in our schools, and it's what's especially what's happening with our Latino males. They're coming to schools later on. They haven't learned the rules and overreaching disciplinary measures put on kids." The way things went at Huguenot in 2013, a Latino student could be singled out, placed in a cafeteria and searched. Principal Jafar Barakat ordered such a search in May, telling Style Weekly last year that he feared more violence following a fight the previous day between a Latino and black student. Students say they were told that the alternative — calling in the police — could lead to immigration issues. Students took that as a threat. It was a step too far. 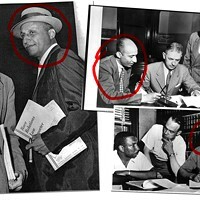 With the help of King and Carolina Velez-Rendon at the Wayside Center for Popular Education, students began organizing to protest longstanding mistreatment. Among their demands were adequate interpretation services, an end to discrimination and the removal of school security officer Joanne Ortiz. The student leaders included Jessica Osornio, who graduated as valedictorian that year, and Jonathan Villatoro. Both have been in the United States since elementary school, and say their ability to advocate on behalf of students who couldn't communicate in English scared administrators. Osornio says Barakat once called her into his office for a meeting in an attempt to show her off as an example of a "good" Latino student. "'His valedictorian,' that's what he called me," Osornio says, recalling that Barakat told her, "Straight-A students don't cause trouble." "He didn't know I was on the side of the other kids," she says. "He tried using me as an example, saying, 'We do have this one Hispanic doing what she has to do.'" The day after that meeting, Osornio joined 70 other students in a picket line, carrying a sign that read, "Interpretation Services Now." Barakat wasn't made available for an interview. The School Board voted to place him on temporary nonadministrative duty Sept. 4, following an assault charge filed by his ex-wife. At the time of the incident, however, he said the school shouldn't be judged based on the protest, adding that if threats are occurring, "We need to definitely correct it." Instead, Villatoro says he was targeted further. A bright student who also studied at the Richmond Technical Center, he found himself placed in district's Capital City Program — which he recalls as essentially a prison with high-school-aged students. The official explanation was that he was disruptive in class, he says. 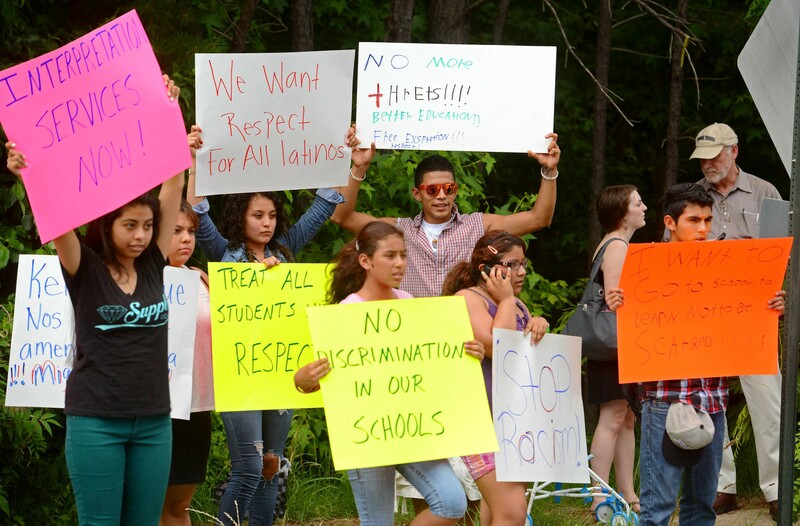 But Villatoro insists it's because he was disruptive to the administration's ability to keep Latino students silent. "A lot of Spanish students revolt against authority," Villatoro says. "But that's the situation we found ourselves in. 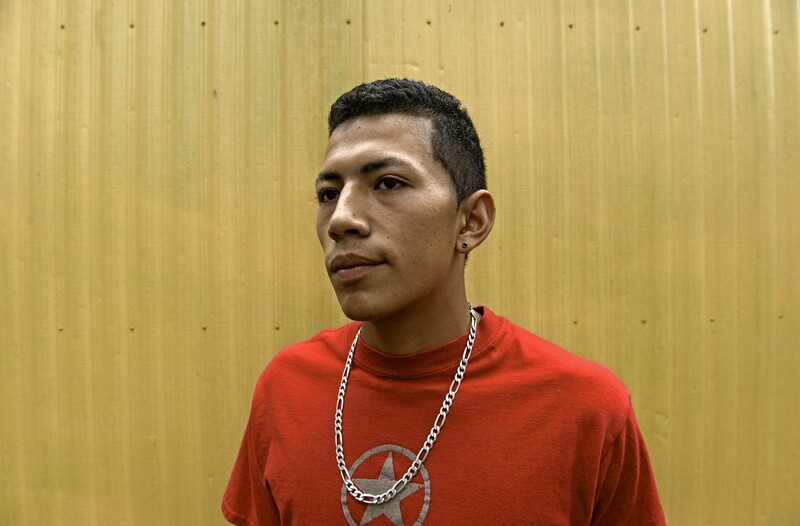 We're in this country and we're afraid of the law because most of us don't have papers." Villatoro fought to be allowed to continue his classes at the technical center, which he's parlayed into a well-paying apprenticeship at the Rolls Royce factory in Chesterfield. He says when the school district gave up on him, Mateo was there. "Meeting Mateo was a big step for me to get on the right path," Villatoro says. "Mateo leveled with me. Sometimes that's all you need, somebody to listen. There was no one else at the school who could provide that service." King's activism also came with consequences. Having been employed by one of the many outside community agencies that supplement Richmond Public Schools staff with interpretation assistance, he was fired shortly after the protest. He went on to found Richmond Conexiones, an organization from which he runs a soccer camp for South Side children and advocates for families. 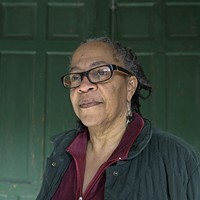 When King entered Greene a short time after the protest with Pinkney-Eppes, she says she could only watch while an administrator on order from "downtown" asked him to leave. He's since been allowed back into schools. 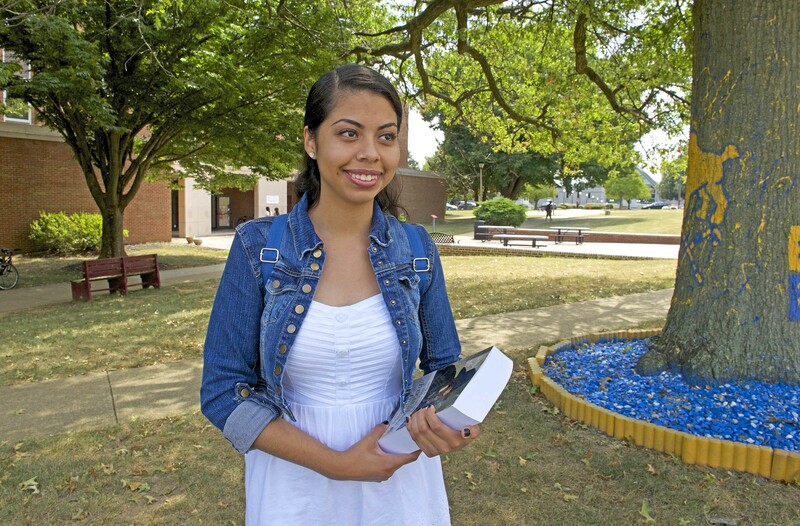 Osornio has gone on to Virginia Union University, where she's studying political science in the hopes of becoming a criminal or immigration lawyer. She credits King with inspiring her to continue pursuing activism, beginning with City Hall. "They're not getting their priorities straight," Osornio says. "They're willing to put a lot of money in putting a baseball stadium in Shockoe Bottom, but they're not willing to put that same money in the school system? That's crazy to me. They're even building new jails. If you would just put it into making the school system better, you wouldn't have to build jails because there wouldn't be as many criminals if people had a career, a good life." Osornio cites her friend Omar Zuniga as an example of a kid that the Richmond Public Schools have put on a track to prison. Where Zuniga doesn't fill in details, she does. Osornio says Barakat accused him of attempting to distribute drugs on school property, using the name of a fellow student as the accuser who later said he'd never met Zuniga. Zuniga was given a choice. He could go to Richmond's Capital City Program, where students were searched daily upon entry and forced to walk with their hands behind their backs in the hallways, with no access to English instruction. Or he could sit at home. He chose sitting at home. His friend Osornio worries about his chances now that he's starting over in a place that turned him away. "It's overwhelming to start over and be in a school that discriminates," Osornio says. "You can't speak up, you can't communicate with others. It's tough on them and I'm thankful I came at the age I did." King regularly encounters worst-case scenarios in his advocacy work. 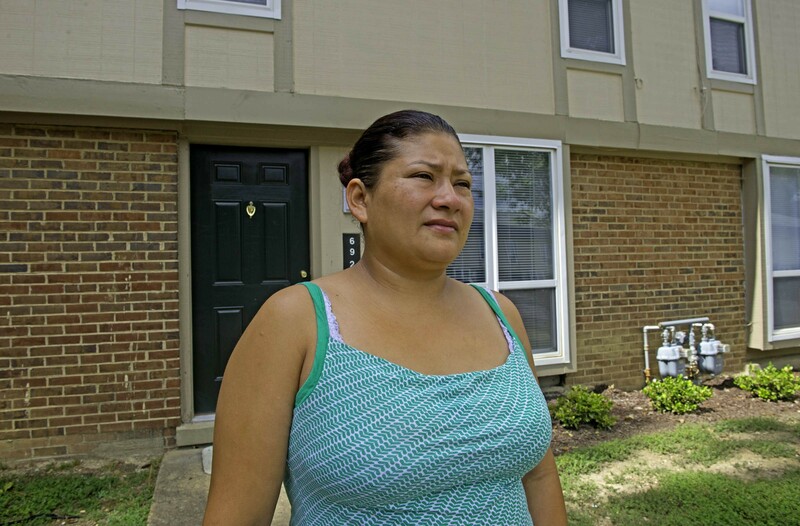 The one that Zuniga's mother, Yolanda, fears most came true for Miriam Gutierrez. She says her son also faced intense scrutiny from Huguenot administrators in 2013, especially from Ortiz. Gutierrez says the officer took an irrational dislike to her son and presented him with a choice: Stay home or I will get you in trouble. Deportation was used as a threat, as it was when students were searched en masse. Undocumented and unable to communicate in English without an interpreter, Gutierrez says she fought against the administration with King's help. "I told [Ortiz], 'I might get deported eventually, but I'm going to see you out of here before they deport me,'" she says. "A lot of parents are very intimidated and won't say anything about these abuses, but as a mother I won't stand for that." Sitting in her home with King, she says she moved to Chesterfield to get her other children away from Richmond's schools. Her son, now 18, hasn't come home since dropping out of school, and she doesn't know his exact whereabouts. She blames administrators for driving him away. "The justice in this world, [Ortiz] has in her hands," Gutierrez says. "But the justice of God is beyond her. And God knows what she's doing to these kids, which is ruining their future." Two weeks before the new school year began, the Richmond Public Schools announced they had reached a settlement with the U.S. Department of Education's Office of Civil Rights over a complaint filed by the Legal Aid Justice Center on behalf of a parent who didn't speak English. The complaint states that the parent's middle-school-aged son was expelled without any interpretation services made available to her. The district agreed to a timeline that would make basic translation services available in January. Legal Aid lawyer Lisa Bennett says the timeline will force the district to correct the most urgent communication issues — the ones that so far have ended in kicking students out of school without parents understanding why. "Not only will we be watching them," Bennett says, "but the Office of Civil Rights will be watching them. We'll have the power of the federal government to bring to bear." Jonathan Zur, president and chief executive of the Virginia Center for Inclusive Communities, says the organization has worked with Richmond schools since 2013 and sees the lawsuit as a sign that meaningful change is ahead. He cites the creation of a multicultural task force and his center's trainings for staff at South Side schools as proof of progress. "The acknowledgment that there's a problem is a long time coming," Zur says. "There's a lot of room for growth and I think, from the folks we've worked with, there's some cautious optimism that the opportunities to engage are going to grow." While Richmond struggles to provide resources to all of its students, Chesterfield remains an attractive option for Latino families who can afford to make the move. Zur says many of the basic needs of parents who don't speak English, such as translation of basic documents, are being met there. In Richmond, where schools continue to face drastically reduced enrollment compared with the last few decades, the School Board has charged the new superintendent, Dana Bedden, with making sure all students and families feel welcome. One of his initiatives is the Family and Community Engagement Office, which he launched in July under the direction of Angela Jones. There, Exceptional Education and Student Services Director Michelle Boyd says that families like the Zunigas will be able to find help. While the surging Latino population may have been seen as a drain on resources, Boyd says, the office represents a new approach. "Diversity is not a problem," Boyd says. "Diversity is organizations changing to meet the changing needs of the stakeholders that we serve. We don't see it as a challenge. We see it as an opportunity to change what we're doing to be more effective." "I am very confident that we're moving the right direction," she continues. "We know that we're not where we need to be but we're actively seeking to improve. We want to know places where we've grown and places where we need to reflect and redefine." So far, that's meant stopgap measures, such as a telephone interpretation service, which King derides and Pinkney-Eppes says schools are afraid to use for fear of racking up costs. The district is in the process of hiring parent liaisons who are bilingual, and is looking at possible locations for a Spanish-speaking welcome center. The Capital City program, which was privately run, is now run by the district. But Pinkney-Eppes says the progress is too slow, and these initiatives won't be enough to improve things in the district. She notes that the School Board's list of budget priorities for 2015, while heavy on fixing buildings, makes no mention of improving communication with Spanish-speaking families. Among the great ironies of the School Board's push for fixing the city's crumbling schools is that Huguenot will reopen in a new building in January — a flagship facility that will hold what Pinkey-Eppes calls the district's most inequitable situation. 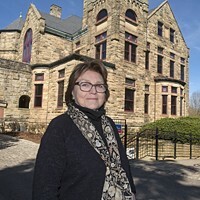 The final cost for the school is estimated to be around $63 million, and she says none of that money will help fix its central issue. "We're not going to change anything if we don't change this Jim Crow mindset," she says. "We're doing the same old thing, and it hasn't worked before." School Board Vice Chairman Kristen Larson, whose district includes Huguenot, says the school has implemented several changes with the beginning of the school year, ranging from announcements being made in Spanish to a training session on cultural diversity given to students. She also says there are more bilingual interpreters — including a bilingual social worker — and a Freshman Success Academy that includes bilingual mentors. Larson also says the policy that saw Zuniga expelled also has been made more lenient. And while Larson says she can't change the past, she wants families like the Zunigas to feel more comfortable coming forward with issues. "I want everyone to feel like they have a voice," she says. "I want families to be able to advocate for our kids. I want to find some answers. I don't want this to be the ongoing issue of our school system." Around the time of last year’s protest at Huguenot High School, above, Miriam Gutierrez says her son grew tired of animosity from Huguenot’s security officer and dropped out of school. For the most part, King is skeptical. While he welcomes the increased presence of any interpreters — as long as they're objective — he says none of what Larson cites addresses the school-to-prison pipeline he sees happening. More important, two days before school started, he says, none of these changes was apparent. No welcome center, no available interpreters. "Guidance counselors acted frustrated," King says, "and the family asked me in Spanish, 'Why they were so rude?'" Superintendent Bedden says he's ready to begin tackling these issues. While Boyd bristles at being asked whether the rapid growth of Richmond's Latino population caught the district by surprise, Bedden acknowledges that the situation isn't ideal. "We're struggling with the evolution of our student population," Bedden says. "There clearly has to be an investment of resources. The same standard of treatment should be given to all our students. How we treat a community shouldn't be based on their ZIP code." Both Bedden and the new chief of safety and security, Timothy Mallory, say they want to meet with any students or parents with concerns about how they're being treated, especially if it's regarding a specific employee. Ortiz wasn't made available for an interview. But Mallory gives her high marks. "I've spent just a short time with her," she says, "but she's one of our best people." Even with new leadership and good intentions, Pinkney-Eppes says, too little will change without the board's focusing on Latino students and basic translation needs being met. She looks back to that first day of class at Greene as an indicator. "I don't have the expectation that Dr. Bedden is a knight in shining armor," she says. "I see him as an employee of this board. He has been given several opportunities to work on this priority, and as the School Board member with that highest population I can't say that I've seen evidence that he sees it as a priority." Omar Zuniga has one overriding concern as he starts a new year at Huguenot High School: "I’m worried they’re going to end up putting me in jail." While policy and speed is debated, none of it seems to have much relevance for Zuniga, who's a few weeks into a new year at a school with the same problems and the same security officer. "I don't know if anything can be different." But is there anyone you trust at school — a counselor, a teacher? Zuniga begins to listen to the translation, then cuts King off. He purses his lips, and gives a one-word answer that means the same in Spanish and English.